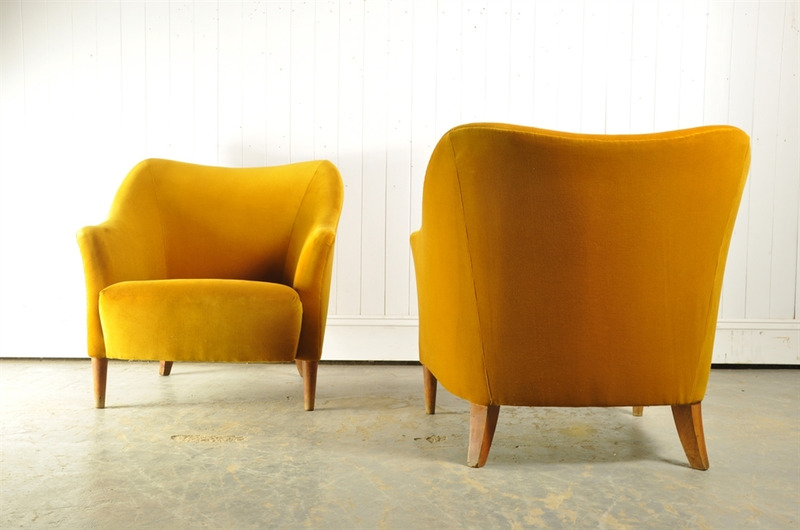 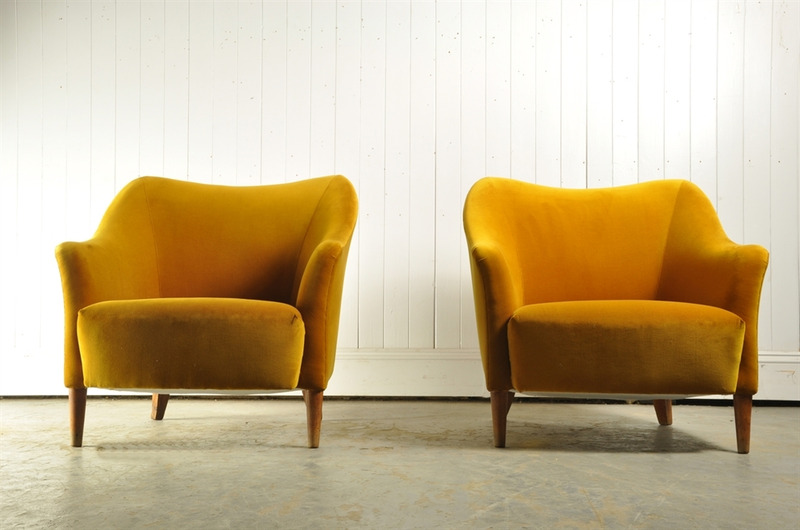 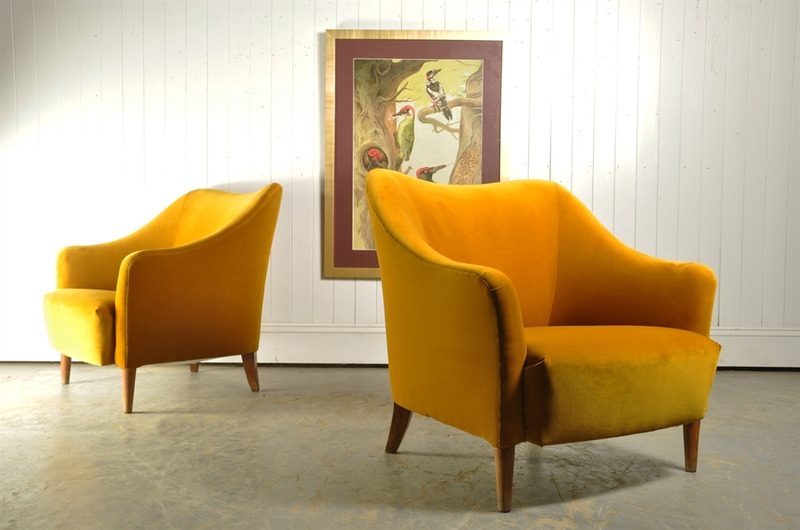 I am slightly in love with these mid century armchairs. 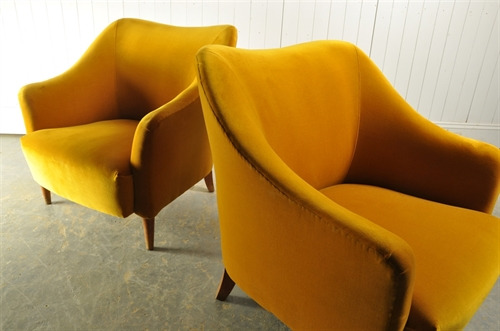 Although not the original material the Mustard coloured velvet cotton is in great condition with a very small amount of ware over the arms. 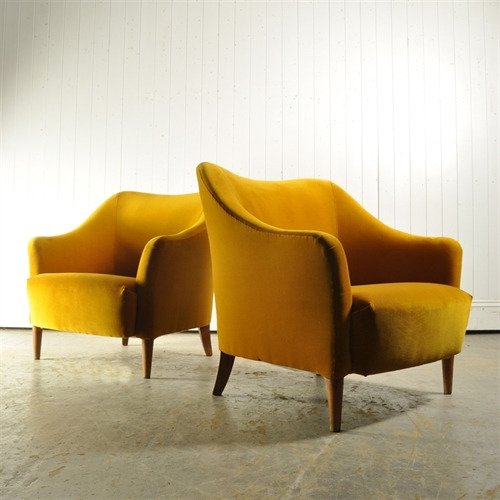 In great condition and very comfortable with some patina to the legs. These are by an Italian designer called Lenzi Quarrata who was very popular in the 1950's. 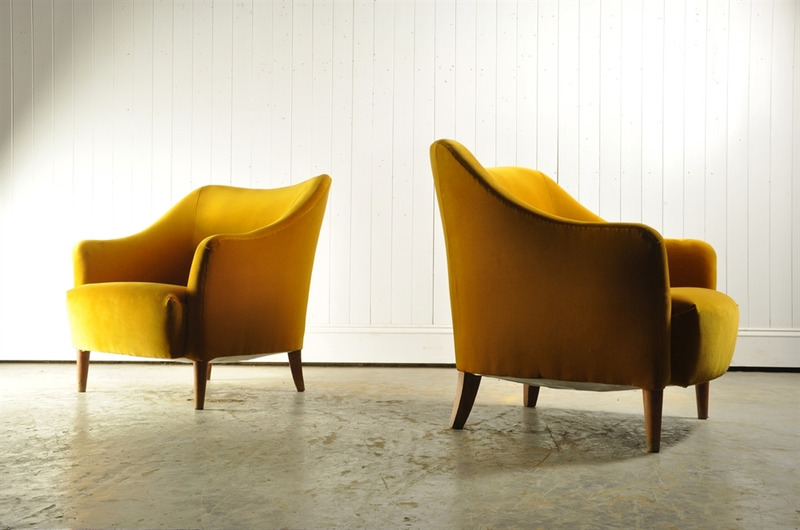 74 cm h ( 39 h to seat ) x 76 w x 77 d.
We are taking these to Decorex Interior Design Show so these will not be available for delivery until the last week of September.